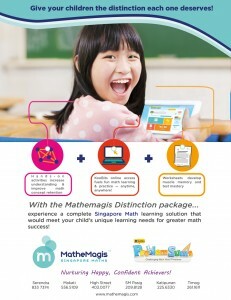 Mathemagis offers a complete Singapore Math learning program — Distinction package — to cater to students’ different needs. Manipulatives allow students to better understand math concepts and provides concrete experiences. Students work on highly visual worksheets for better understanding and retention. Students will be given access to KooBits, Singapore’s top online Maths portal, where kids can practice and hone their math skills anytime, anywhere with an internet connection. What are you waiting for? 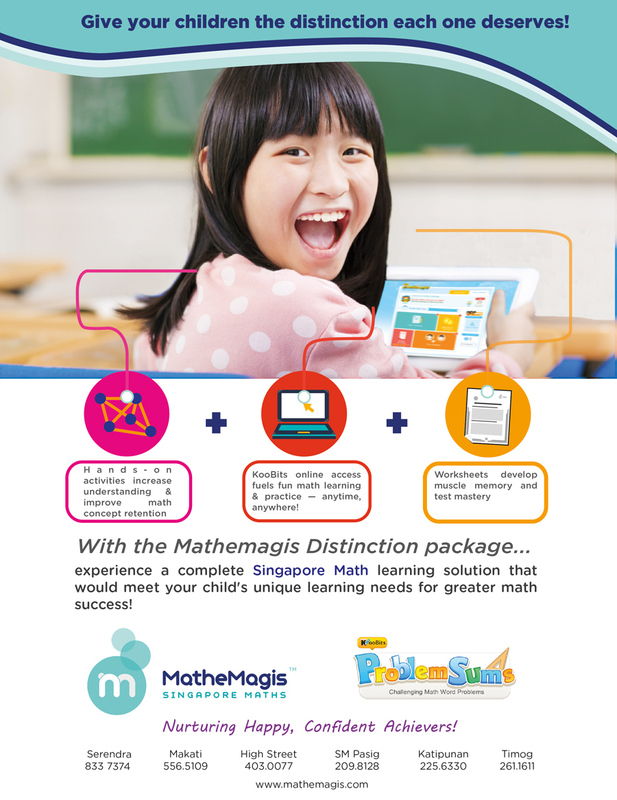 Give your child the distinction he/she deserves and gear up for Singapore Math success this school year!